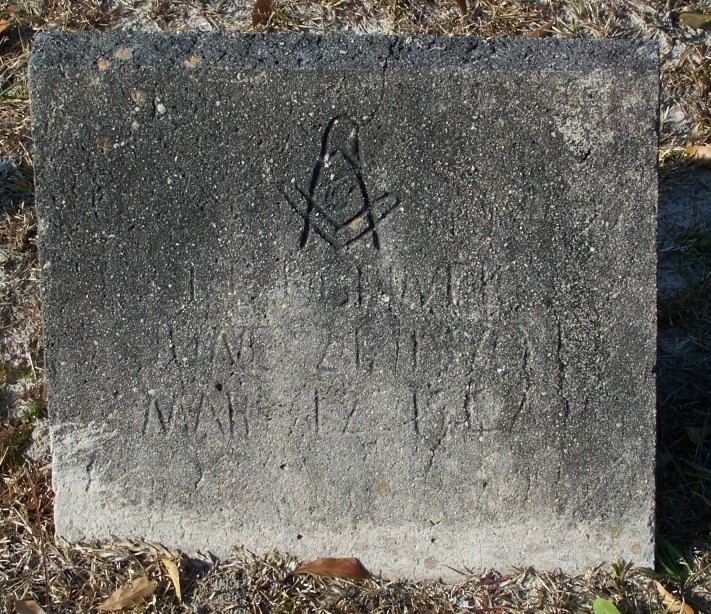 Isham Watson, a veteran of the Revolutionary War, and his wife Rhoda Ann Oswald came to Lowndes County, GA about 1831. 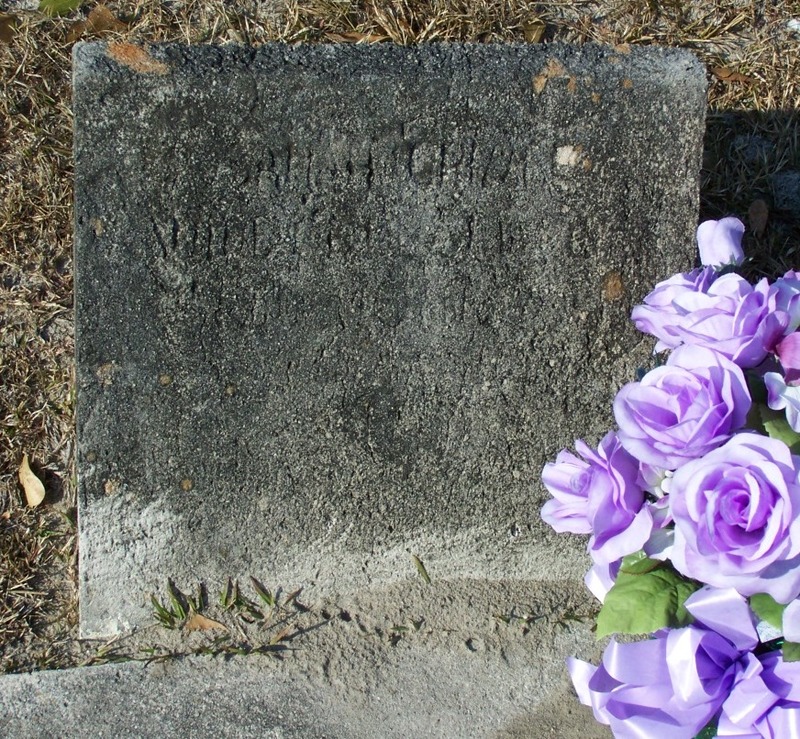 At least one of their children, son Frederick Watson, came with them to Georgia. Lowndes county then encompassed present day Lowndes, as well as Berrien County, Tift, Cook, Brooks, Atkins, Lanier, and Echols counties. The county seat was at Franklinville, on the Withlacoochee River (although the river was then labeled on maps as the Ockolacoochee). Isham Watson’s place was on Lot 100, 12th Land District, about 10 miles west of Franklinville, and about two miles east of the Little River (labeled on the original land plats as the Withlacoochee). Isham Watson was born about 1759 in Dobbs County (now Wayne County), in the British Crown Colony of North Carolina. He was one of ten children born to Samuel Watson (1731-1784) and Christine Watson (1740-1810). He grew to young adulthood during the time of escalating tension between England and the American Colonies. Following on news of the fighting at Lexington and Concord in April, 1775, the patriots of North Carolina began organizing Continental Army and militia units. Isham Watson was among those who were willing to fight for independence. By the age of 16, he joined Captain John Sheppard’s Company of the Dobbs County Regiment of Militia. The Dobbs County Regiment, led by Col. Abraham Sheppard, Maj. Martin Caswell, and Maj. William McKinnie, would play a pivotal role in the opening of hostilities in the Revolutionary War. When Governor Josiah Martin learned of patriot military preparations he fled the palace at New Bern and by July was on board a British warship off the North Carolina shore. With Governor Martin out of the colony the patriots established a provisional government and began mobilizing their forces. From his exile, Governor Martin organized a plan to recapture the colony. He hoped to raise a loyalist army of 10,000, many of which would be back-country Highland Scots. The army would then march to the coast and join a British expeditionary force led by Lord Cornwallis, Sir Henry Clinton and Sir Peter Parker. Together they would be able to re-establish royal authority in the Carolinas. By February 15, 1776 Governor Martin’s Tory army assembled at Cross Creek (now Fayetteville), NC, mustering about 1,600 loyalists, including some 500 Scots armed with broadswords. Under the command of Brigadier General Donald McDonald and lieutenant Colonel Donald McLeod, the Tory force began the march down the Cape Fear River to link up the the British regular forces on the coast at Wilmington where Cornwallis and Clinton had six regiments of British regulars and a fleet of seventy-two ships to control the coast. The goal was to divide the northern and southern colonies. But through a series of troop maneuvers and posturing, the patriots managed to intercept the Tory army at Moores Creek Bridge. On February 20, MacDonald began his march toward the coast; however, he found his way barred by Moore at Rockfish Creek. Instead of bringing on a fight the loyalists turned eastward and crossed the Cape Fear River. With Moore outmaneuvered, another patriot leader, Colonel Richard Caswell with 800 men [private Isham Watson and the Dobbs County Militia among them] rushed to take possession of the bridge on Widow Moores’ Creek, a crossing the loyalists must make in order to reach Wilmington. Moore sent 200 men with Colonel Alexander Lillington to reinforce Caswell and with his own force followed the enemy in hope of attacking his rear. Lillington arrived at Moores Creek Bridge on the 25th and erected an earthwork on a slight rise overlooking the bridge and its approaches. The creek at this point is a dark, sluggish stream about 50 feet wide and 5 feet deep. A simple wooden bridge provided passage across the creek, but much of the terrain adjacent to the crossing was swampy. With Caswell’s arrival on the 25th the patriot strength climbed to 1,000 men. Instead of joining Lillington, Caswell crossed the creek to the western bank and prepared a position there. When the loyalists neared the creek and learned of the presence of the patriots, they had to decide whether to march in another direction or to fight. After a lengthy debate, the younger leaders prevailed and the decision was to fight. MacDonald was ill, so McLeod commanded the attack. Captain John Campbell with 75 picked broadswordsmen was to lead the charge into Caswell’s camp. However, a reconnaissance warned Caswell of his vulnerable position so he withdrew across the creek to the position of Lillington’s earthwork. An hour before dawn on February 27, the loyalists struck Caswell’s deserted camp and found only low-burning campfires. McLeod quickly regrouped his men and when musket fire was heard near the bridge, they charged with the rallying cry, “King George and Broad Swords.” Though it was not daylight, they rushed the partly-demolished bridge with claymores drawn and bagpipes skirling. As the advance party struggled across the bridge, they were met with a hail of musketry and artillery fire. North Carolina Patriots , Private Isham Watson among them, defeated loyalist militia at Moores Creek Bridge on February 27, 1776. 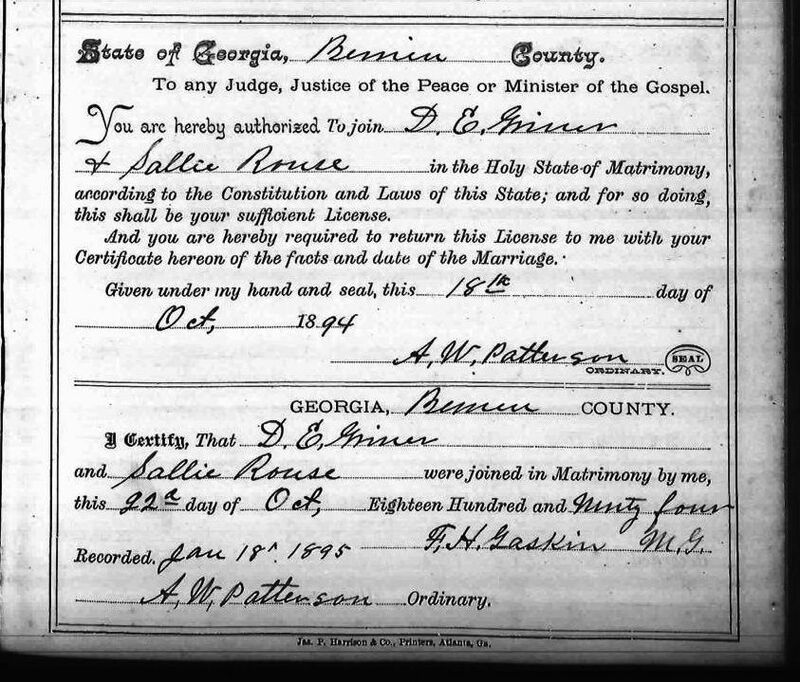 Isham Watson later moved to Lowndes County, GA. The patriots counter-attacked with vigor, producing a loyalist rout. The battle lasted only three minutes, with the patriots losing but one man. A firsthand account of the battle was written by Colonel Richard Caswell in a letter published in 1776 in John Almon’s work The Remembrancer. “I have the pleasure to acquaint you that we had and engagement with the Tories at Widow Moore’s Creek bridge on the 27th current. Our army was about one thousand strong, consisting of the Newbern battalion of minute-men, the militia from Craven, Johnston, Dobbs, and Wake, and a detachment of the Wilmington battalion of minute-men which we found encamped at Moore’s Creek bridge the night before the battle, under command of Colonel Lillington. The Tories, by common report, were three thousand; but General Mcdonald, who we have a prisoner, says there were about fifteen or sixteen hundred. He was unwell that day, and not in battle. Captain McLeod, who seemed to be the principal commander, with Captain John Campbell, are among the slain. The number killed and mortally wounded, from the best accounts I was able to collect, was about thirty; most of them were shot on passing the bridge. Several had fallen into the water, some of whom, I am pretty certain, had not risen yesterday evening when I left the camp. Such prisoners as we have made say there were at least fifty of their men missing. The Tories were totally put to the rout, and will certainly disperse. Colonel Moore arrived at our camp a few hours after the engagement was over. His troops came up that evening, and are now encamped on the ground where the battle was fought. And Colonel Martin is at or near Cross-Creek, with a large body of men. Those, I presume, will be sufficient effectually to put a stop to any attempt to embody again. I therefore, with Colonel Moore’ s consent, am returning to Newbern, with the troops under my command, where I hope to receive your orders to dismiss them. There I Intend carrying the General. If the Council should rise before my arrival, be pleased to give order in what manner he shall be disposed of. Our officers and men behaved with the spirit and intrepidity becoming freemen, contending for their dearest privileges. To the Hon˙ Cornelius Harnett, President of the Provincial Congress of North-Carolina. After the battle, the Patriots captured hundreds of loyalists, large quantities of weapons, supplies, and more than £15,000 ($13,850,000 in today’s money). The Patriot victory at Moores Creek Bridge played a significant role in ending the British ambitions in North Carolina. Dobbs County militia participated in a number of subsequent battles in the Revolutionary War, but Isham Watson’s is not known to have been present. He continued to reside in Wayne County, NC. On February 12, 1781 Isham Watson was among the citizens of Wayne County, NC signing a petition to the North Carolina General Assembly requesting the appointment of new county commissioners to select a sight for the county courthouse, the former commissioners have failed to select a central location. It is interesting that so trivial an event of local governance would take up the time and attention of the citizens of Wayne County or the NC General Assembly in light of the fact that Lord Cornwallis was then occupying North Carolina, forcing Nathanael Green’s Continental Army troops to retreat into Virginia. The British fortunes were quickly reversed. Despite a British victory at Guilford Court House, Cornwallis was unable to control the colony. Just months later, George Washington’s victory at Yorktown would end the major conflicts in America. Isham Watson remained in Wayne County, NC after the war. The census of 1790 show he was a slaveholder there with 9 slaves. About 1831, Isham Watson and his wife came to Lowndes County, GA originally settling in Folsom’s District. Among other Revolutionary soldiers homesteading in Lowndes County were John Davis, Henry Hayman, Gideon Elvington, and William Peters. In the 1832 Cherokee Land Lottery, Revolutionary Soldiers were given extra draws, and Isham Watson, of Lowndes County, GA was a fortunate drawer. He drew a lot in Cherokee County, GA, but it appears that he never occupied the property, and quickly sold it. The 1834 property tax digests of Lowndes County, GA show that Isham Watson owned 490 acres of pine lands in Section 1, District 12, Lot 100, Captain Caswell’s District. The last record of Isham Watson appears in the 1840 Census of Lowndes County, GA. 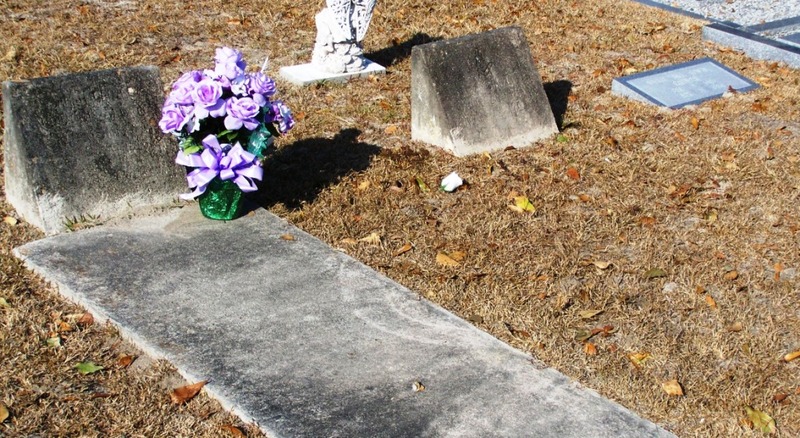 He died in the 1840s; the location of his grave is not known.